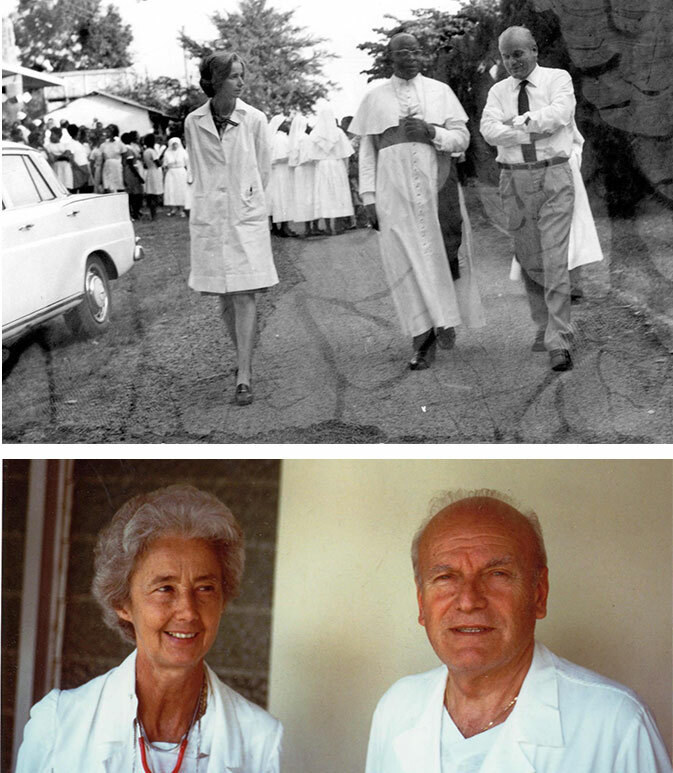 Shortly after a Combonian missionary established St. Mary’s Hospital Lacor in 1959, Dr. Piero Corti and Dr. Lucille Teasdale took over its operations. Their undertaking over 55 years ago changed many lives in Uganda. Here is their incredible story. In 1961, when Dr. Piero Corti and Dr. Lucille Teasdale arrived, the hospital consisted of an outpatients’ section, a maternity ward, and a few beds. 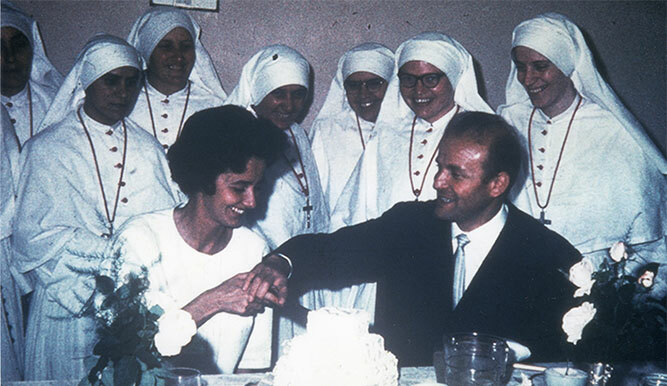 A small number of midwives ran the hospital with nurses who were Combonian nuns. The medicine and radiology wards and the laboratory were under construction. Dr. Piero Corti and Dr. Lucille Teasdale married in the hospital’s chapel. They were to remain at Lacor their whole lives. They persevered to manage and develop it by finding funds themselves, at first turning to their relatives and friends. Thanks to Piero and Lucille’s work, the hospital began to grow, and they made a great effort to find funds for the surgery and paediatrics wards. 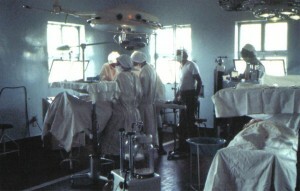 In 1965, the surgical ward was completed, with an operating room of two tables and nearby service rooms. Volunteering doctors also started coming to the hospital. The School for Registered Nurses was opened in 1973. Then, in 1974-76, the three peripheral health centres were set up in Opit, Pabbo, and Amuru. During this period, when the Tanzanian Liberation Army was moving north, the hospital remained isolated from the rest of the world for three months. Dr. Lucille, as the local population called her, was the only surgeon in a very large area who was able to perform war surgery. The hospital was located on the escape route of Idi Amin’s retreating army and was plundered in the days before the Tanzanians arrived in Gulu. It is believed that it was in those years that Lucille contracted AIDS by cutting herself on bone splinters. 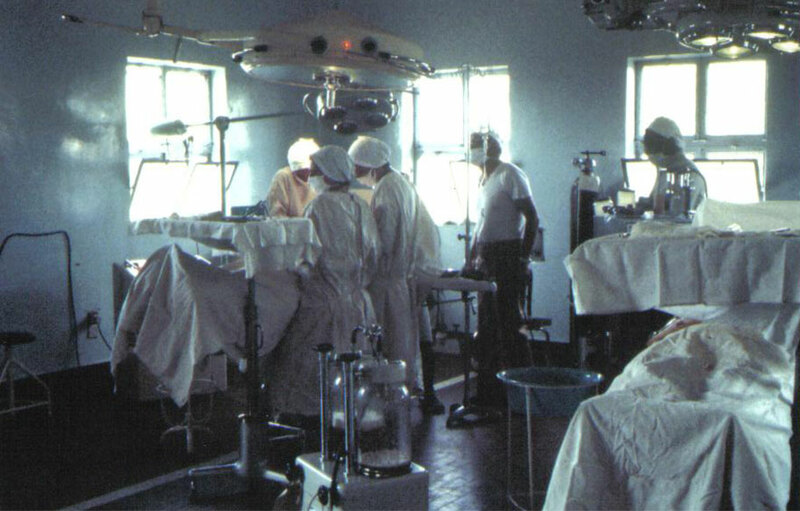 In the 80s, the hospital facilities were expanded: Surgery II with three operating theatres, dental surgery, endoscopy, library, pathology laboratories, physiotherapy, and archives. During these years, the hospital was repeatedly plundered, day and night. Nurses were kidnapped and drugs and money paid their ransoms. Over 90% of the staff lived on the hospital grounds and at night often slept under the bushes or in the buildings under construction to avoid the risk of being kidnapped. In the 90s, the hospital had 400 Ugandan employees and 450 beds. The new multi-specialty outpatient unit of the hospital was opened in 1995. An accounting system was established, annual financial reports began being produced, and the board of directors of the hospital was renewed, meeting regularly since then. Lucille continued to work six hours every day in the outpatient unit, despite only weighing 35 kg and being fed intravenously. In April 1996, Piero took Lucille to Italy to try and improve her health. Despite treatment, Lucille’s health continued to deteriorate. Lucille died in Italy on August 1, 1996. At her bedside were Piero, Dominique and her husband Contardo, and her sister Lise, who had come from Canada. Piero brought her remains back to Uganda. During this time, the hospital was in the midst of a war characterized by daily massacres and atrocities. The hospital treated direct victims, people injured by fire weapons and mines, and indirect victims, the 90% of the district’s population who lived in refugee camps with dramatic conditions. Diseases connected to poverty such as malaria, diarrhoea, and malnutrition caused an extremely high child death rate. These diseases could have been largely prevented and even treated. He set up a specific isolated ward and recruited a group of voluntary staff. Experts arrived from all over the world, including specialists from the Centers for Disease Control and Prevention (CDC) based in Atlanta, and the World Health Organization (WHO) in Geneva. The CDC’s “Special Pathogens Unit” set up an “on-site” laboratory at Lacor. For the first time an Ebola epidemic was observed and the diagnosis was confirmed by on-site laboratory tests. Patients were also clinically treated, leading to significant scientific consequences. Of the more than 100 employees who accepted to work with Matthew in the isolation ward, transporting suspected cases to the hospital or burying the dead, 13 died from contracting the disease. Dr. Matthew Lukwiya also died of Ebola on December 5th, 2000, the last victim of the virus among the Lacor employees. On his deathbed, Matthew asked to be buried near Lucille; his final request was honoured. The Ebola epidemic left a wave of fear and discouragement in the region. After several months, the worst was over and the hospital, having adopted all of the protective and diagnostic measures to be able to work in an area at high-risk of extremely dangerous infections, resumed work at full speed. Since 2001, an international auditor has been certifying the hospital’s financial statements. The hospital introduced its user manual and computerized its accounting and staff management procedures. The hospital had to face an increasing number of nightly commuters (thousands of children seeking protection at the hospital at night) in addition to its regular hospital activities. In 2003, Lacor Hospital became the university centre of the newly established Faculty of Medicine of the Gulu University. The number of patients continued to grow and, in 2007-2008, the figure reached more than 300,000 per year. A particularly rapid increase in hospitalisations was recorded, which doubled to more than 40,000. Surgeries reached the threshold of 5,000 per year. The hospital prepared its first strategic plan for 2007-2012. After Piero’s death, Doctor Bruno Corrado, who had arrived at Lacor in 1992, took over the management of the hospital and began working in close contact with future hospital managers to prepare the handover to Ugandan managers. 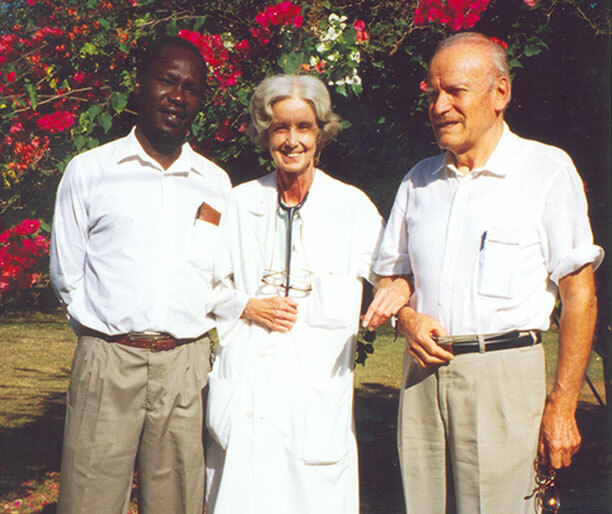 This important milestone was achieved in February 2008, when Dr. Opira Cyprian took the role of Executive Director, supported by Dr. Odong Emintone (Medical Director) and Dr. Ogwang Martin (Institutional Director). Dominique Corti, daughter of the Teasdale-Corti couple, is the President of the Foundation in Milan and is dedicated full-time to fundraising and awareness activities. The story began over 55 years with a dream and now Lacor treats over 250,000 patients per year. It is thanks to the donors’s great generosity that Lacor is able to reach its goals.